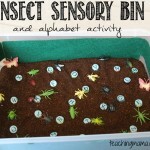 We are studying the letter ‘B’ and starting a unit on bugs today! 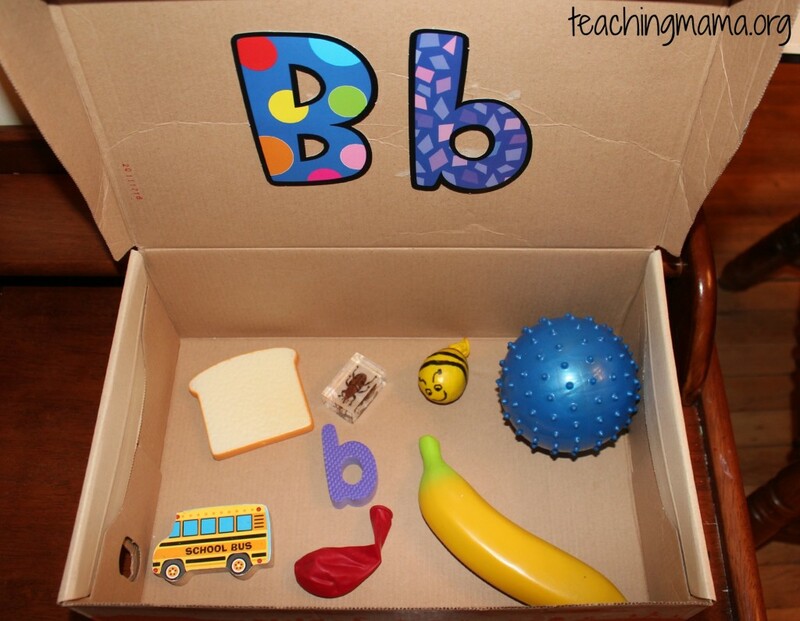 We started with opening our alphabet box. Troy’s always excited to see what’s going to be inside! 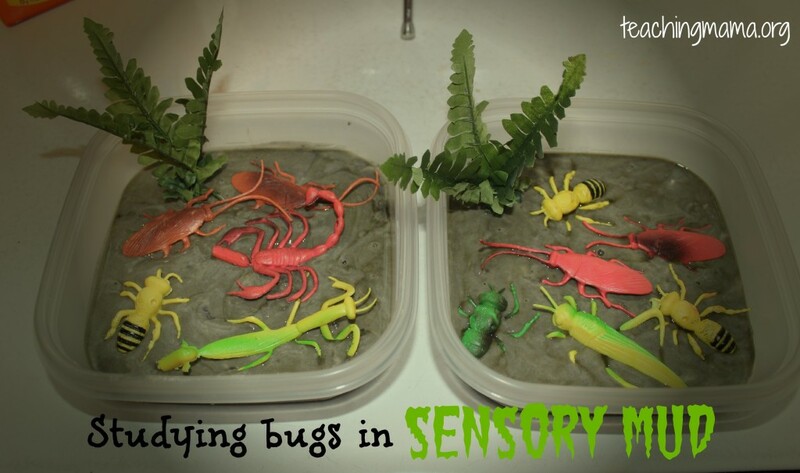 Then, we did a sensory and fine motor activity using bugs and sensory mud. 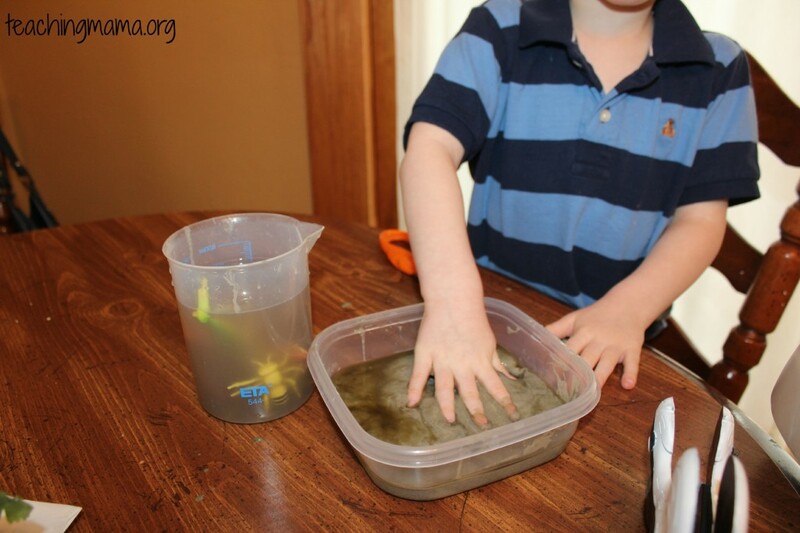 Sensory mud is so easy to make! 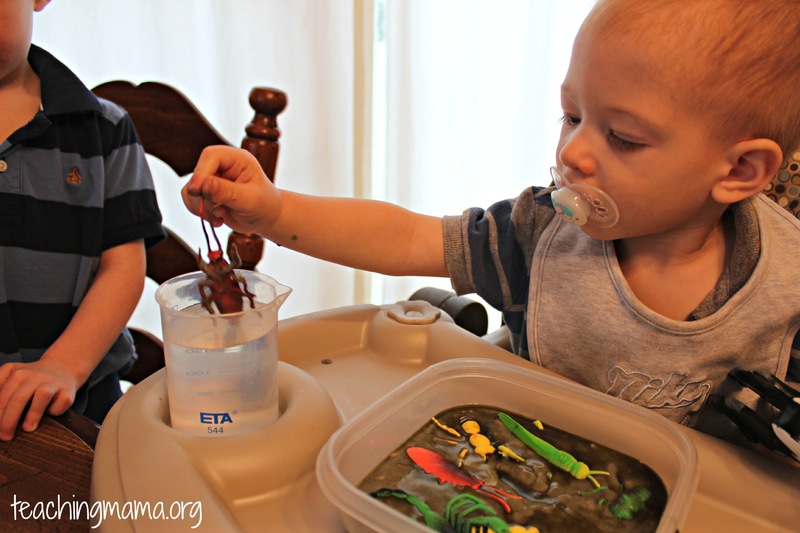 All you do is mix baking soda with a little bit of water and black food coloring. 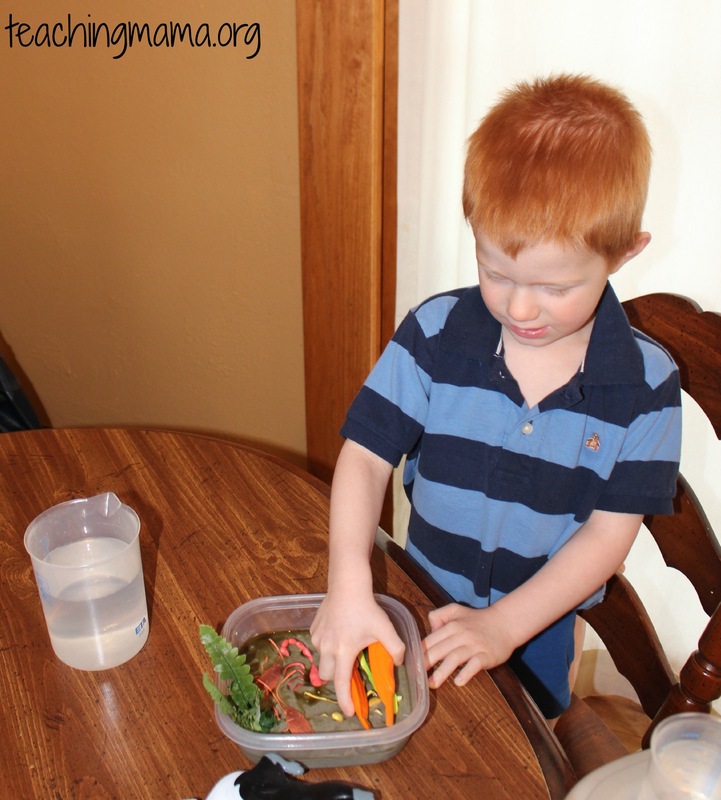 (Side note: to make black food coloring, mix equal parts of red, yellow and blue.) I used 1.5 boxes of baking soda and just added water until it was the consistency of mud. Then I mixed in the food coloring. I noticed it does start to look watery on top if I let the mud sit there, but changes again once you mix it . 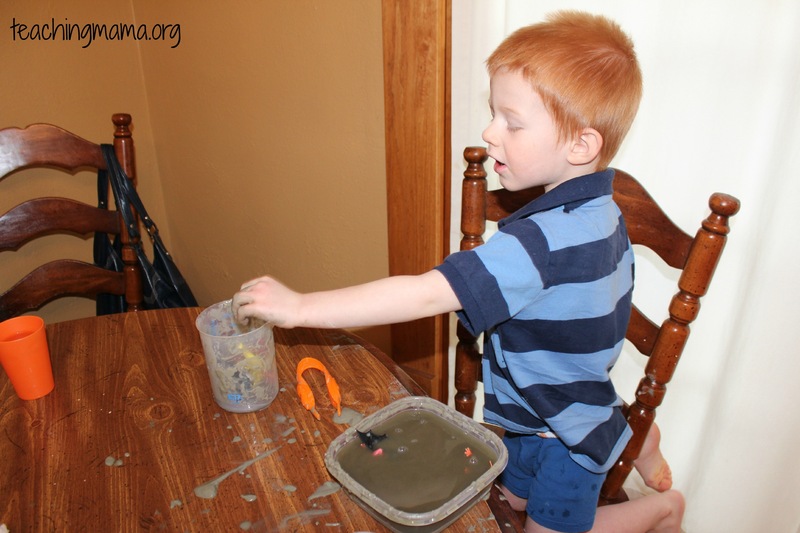 This sensory activity actually reminded me of the consistency of oobleck. 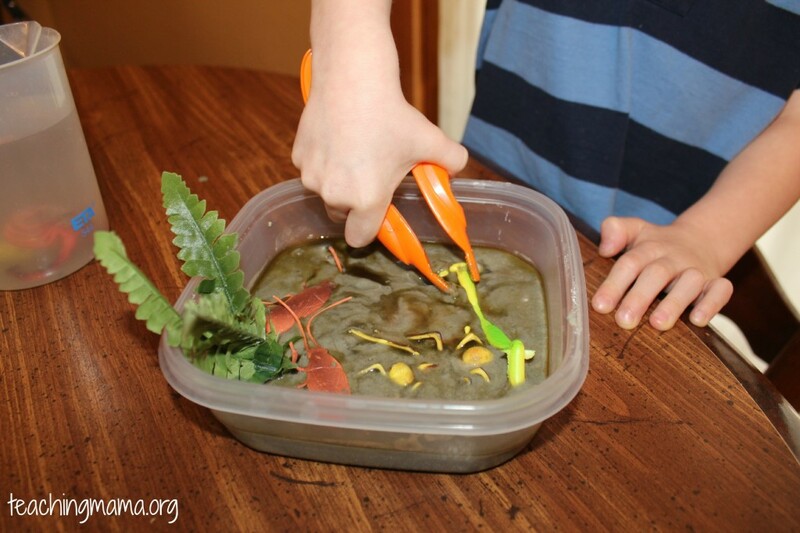 For this activity, I gave each kiddo a tupperware full of the mud and bugs. Then I had a beaker of water and tweezers. Troy’s job was to pick up the bugs and drop them in the water to bathe them. 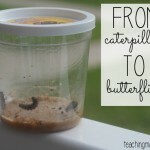 He did this several times and we also counted the bugs, buried them, and played with the mud with our hands! 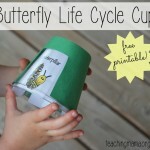 This was good for working on fine motor skills! Wes just dropped bugs in the water and splashed mud around. They both had a ton of fun!! 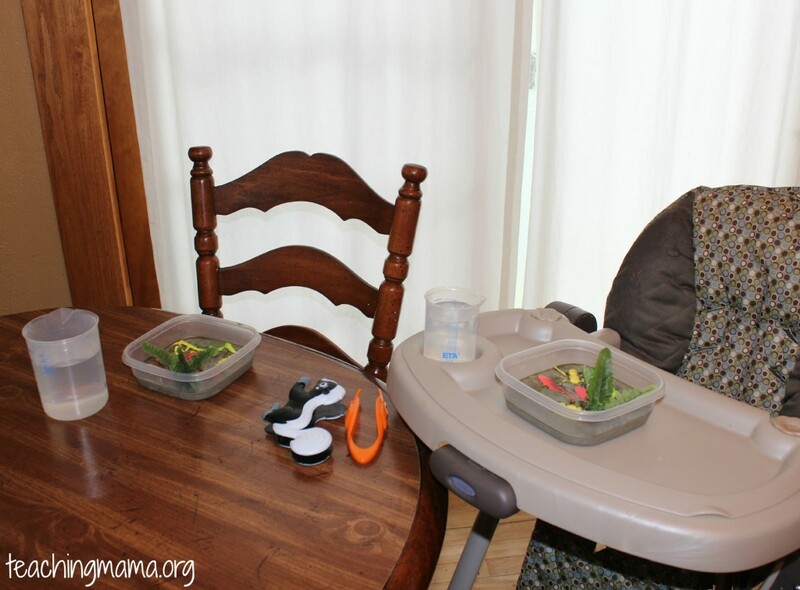 I wish we could’ve done this activity outside, but of course it was raining still! 🙂 This is completely safe to dispose down the drain and actually it will be good for cleaning it! 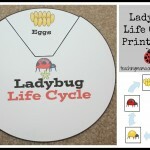 We can’t wait to do more bug activities! Here’s a fun fact: my dad is an entomologist (someone who studies bugs) and owns a pest control company! 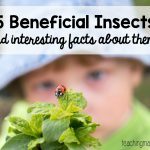 So we definitely know who to go to if we ever have bug questions!